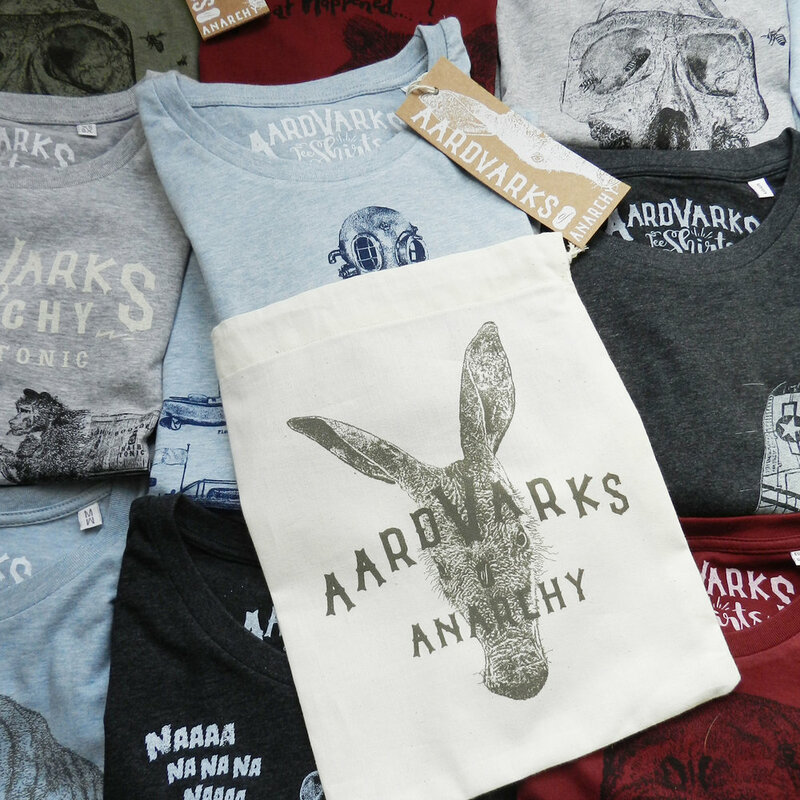 Aardvarks of Anarchy is a small, independent Mens T-Shirt brand, founded in 2017.
certified by the Global Organic Textile Standard (GOTS), Oekotex and the Fair wear Foundation. All our illustrations are screen-printed with biodegradable water based inks that are not harmful to you, to us or to the environment. The Aardvarks product range is considered non-seasonal, with new, original designs being added to the collection periodically throughout the year. Retailers can order our range at anytime and expect short-term delivery within 4 weeks. Our brand ethos is founded on small scale, local craftsmanship, hand finished quality and refinement with humor. We make garments that look and feel special with a graphic identity inspired by our own detailed, whimsical illustrations with a humorous twist. The Aardvarks of Anarchy head office and design studio is based in Antwerp, Belgium.